Argan oil has several claims to fame. One is the magic benefits it provides for your hair. Have you used this oil treatment before? If your hair is anything less than perfect, giving this miracle in a bottle a try isn’t a bad idea. It’s definitely one of the best things I’ve ever done for my hair and I’m always recommending it to friends and family. Using argan oil for hair is a beauty trend that seems to be gaining more momentum every day. What used to be a rare ingredient to find in hair products is now so common that just about every company includes it as an ingredient. Today we are going to discuss the benefits that this oil brings to your hair. I’ll also be recommending some of my favorite argan enriched hair products, like shampoos, conditioners and hair masks. Ready to see what the hype is all about? You’re going to love it! Argan oil is a plant oil. It is, not surprisingly, sourced from the argan tree found in Morocco. Sounds exotic already, doesn’t it? To extract the oil, the fruit from the argan tree is first dried and then broken down until only the nut found on the inside remains. Inside this nut are one, two or three argan oil-rich kernels. It’s interesting to learn that attempts to attract the oil with the aid of machines has been unsuccessful and so to this day, it is extracted by hand. Workers grind and press the kernel, releasing the oil. The oil is then decanted and eventually filtered. It’s quite a process for the oil to go from tree to store but it’s worth the work that goes into it. Argan oil is known for its healing powers and Moroccans have been using the oil for centuries to treat skin infections and rashes. They’ve also benefited from the oil as a natural cosmetic. Because it’s packed with vitamin A, vitamin E, antioxidants and Omega-6 fatty acids, the list of uses for this oil seems to be endless. The belief that it improves hair simply can’t be a myth as more and more people discover its benefits each year. Ready to become one of them? So argan oil for hair sounds exotic and interesting but what exactly does it do? Here are the top benefits that will have you ready to purchase your first bottle in no time. Improves Appearance: An argan oil hair treatment helps to eliminate frizz and a single application can make hair shine like never before. You’ll also notice softer and more manageable hair that’s easier to style. Improves Health: The overall health of your hair will improve each time you use this oil. It’s able to penetrate each strand and heal the most damaged hair from the inside out. It also helps to heal the scalp, leading to healthier hair growth as well. Promotes Growth: Thanks to all the vitamin E found in argan oil, using it on a regular basis can help promote new and healthier hair growth. When you combine this with a healthier scalp, you can see a real improvement if your hair has been thinning lately due to stress or inferior hair products. Everyone wants thick hair but unless you’ve been blessed with a truly thick head of luscious locks, you don’t know about the daily struggles that it comes with. Thick hair can be hard to tame and style and it can easily become matted. It’s also hard to keep it soft and silky. But an argan oil hair treatment can be used to tame thick hair and make it easier to style and manage. Check out some of my favorite argan oil products for those of us blessed with unruly and thick hair. Argan oil can be described as liquid gold for your hair. It’s all natural and pure, which is always ideal when it comes to cosmetics. You should always make sure that the product you are purchasing only contains pure argan oil sourced from Morocco. If the price seems too good to be true, it probably is. 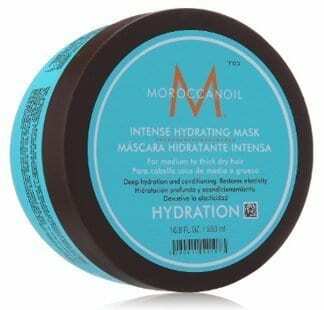 Check out these great products, made with authentic Moroccan argan oil. This hair treatment produced by the company Moroccan oil is by far one of the most luxurious hair treatments I’ve ever tried. They only use the best argan oil for hair. After you shampoo and condition your hair (ideally with an argan oil shampooer conditioner), simply rub a small amount of the treatment in the palm of your hands. Work it through your damp hair and then style as normal. Your hair will feel smoother, silkier and instantly shine. You can also apply extra of this hair treatment before coloring your hair. It will help each strand to accept the color and you’ll end up with a much more vibrant look that lasts longer as well. This awesome shampoo contains both argan oil and keratin. It has a great lather that will help to repair your hair, no matter how damaged it might be. It won’t wash away color and helps to restore moisture in your scalp, which is ideal if you occasionally battle dandruff. I really recommend this shampoo for anyone who has truly damaged their hair. I recommended it for a friend that had hair almost beyond repair, thanks to a bad color job at a salon. After the first use, she could tell that her hair was beginning to transform and within a month, her hair was virtually healed. An argan oil hair mask is a quick yet intense treatment for your hair that brings the feeling of a spa treatment into your own bathroom. In under ten minutes, your hair will be hydrated and full of shine and life. I like to apply hair masks at least two to three times a week and this is always one that I reach for. You only need about a teaspoon so even though the initial price seems a little high, the container will give you plenty of treatments. 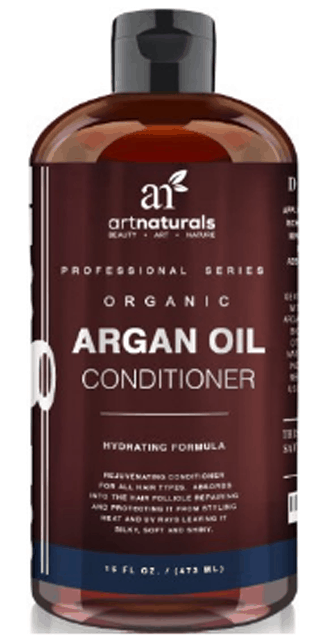 No argan oil hair treatment would be complete without a conditioner. Moroccan oil again comes through with their Moroccan Oil Moisture Repair Conditioner. It’s safe for color-treated hair and contains absolutely no sulfates, phosphates or parabens. When using this Moroccan oil conditioner, be sure to give it a few minutes to sit in your hair before rinsing. You really want to give it time to soak into each strand. You’ll also love the smell of your hair after using this conditioner. It’s absolutely heavenly. For those of us with thin hair, we’re always looking for a way to pump up the volume andmake one strand of hair look like ten. Just as using argan oil for natural hair can help tame thick hair and make it more sleek and manageable, it can also help improve the appearance of thin hair and even promote new and healthier hair growth. If you’returning to argan oil to improve your thin hair, here are some great products to try. Any type of hair can benefit from a great hair mask, including thinner hair. 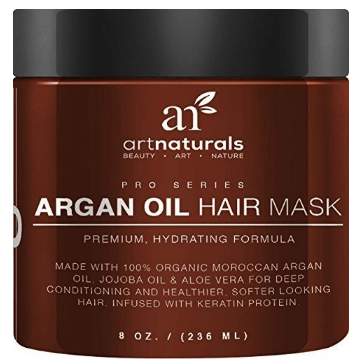 ArtNaturals is another one of my favorite companies that offer authentic argan oil products, including their Hair Mask. Besides the best argan oil for hair, this hair mask also contains jojoba oil, aloe vera, and keratin. With this impressive combination, your hair will be jumping for joy! Thin hair can become incredibly dry and it can be hard to rehydrate with certainproducts because they tend to leave behind a greasy or oily feel. You won’t find thatwith this hair mask. After rinsing it out, your hair will be soft, manageable and completely grease free. Inextreme cases, you can even leave this hair mask in overnight and rinse it out in themorning with ease. 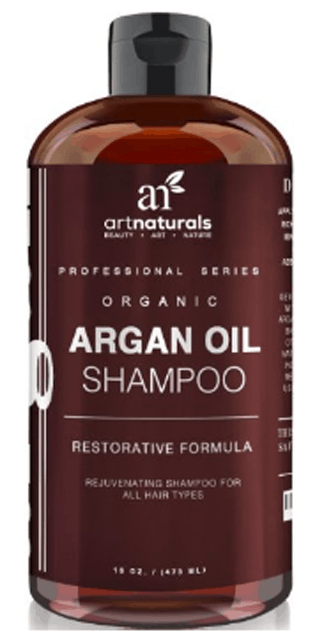 Daily Organic Argan Oil Shampoo by Art Naturals is the ideal shampoo for anyone with hair that’s on the thinner side. It contains jojoba oil as well, which has been clinically shown to help unclog hair follicles and promote new hair growth. Now don’t be concerned if your hair feels a bit stiff at first when using this product. It won’t happen to everyone but this is common with thinner hair. After a few applications,your hair will adjust and the transformation will begin. I also love how much lather this shampoo makes, which is difficult to achieve with products that only use natural ingredients. I can’t stress enough how important it is to avoid man made chemicals when your hair is on the thinner side. To complete the thin hair regimen, you’ll need the Daily Hair Conditioner . 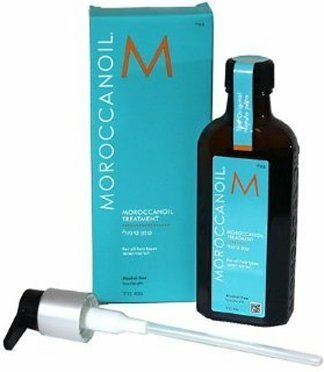 It’s the ideal Moroccan oil conditioner for strengthening hair and contains only all natural ingredients. One of its main ingredients, besides argan oil, is rosemary. This has been linked to hair regrowth for quite some time and has some impressive clinical studies behind it for support. This conditioner claims to promote the growth of healthy, strong hair and eliminate thin,brittle hair. My hair isn’t incredibly thin but when I tried this product, I definitely felt like it was strengthening my hair. You can almost feel your hair tingle as all the natural ingredients work to heal your hair and transform it into the hair you’ve always wanted. A lot of natural oils and ingredients claim to help with hair growth, but how do you know if Moroccan argan oil will really help or if it is just surrounded by a bunch of hype? While there’s no guarantee that this oil will help with hair growth, many people have experienced positive results. It’s certainly worth a try. If you’re hoping to grow longer hair quickly, I have a great recipe that you can try. Your oil can be expensive so this is a great way to get the most out of your purchase and benefit from a few other ingredients as well. My hair growth treatment includes the following ingredients. Feel free to double or even triple this recipe if you know you’ll be using it for a long time. To make this recipe, simply combine all of the ingredients into a small glass bottle. You can run it under some warm water to better incorporate all of the ingredients. To use, apply just a few drops of mixture onto only your scalp and the ends of your hair.Wrap your hair up tightly in a towel and allow the oil to sit for half an hour before rinsing.This can be done daily. You can always search for hair treatment recipes using argan oil. You’ll often find it combined with other oils, like coconut or jojoba, essential oils, bentonite clay and a variety of other natural products. Try them all until you find your favorite combination. But what about hair loss? Will argan oil help grow new hair? Many people have experienced some great results by treating their hair loss with argan oil so if you’re looking for a natural hair loss treatment, I would definitely recommend it. It’s important to know that you can only grow as much hair as the number of hair follicles you have. In other words, you are predisposed to a certain number of hairs. But most of the time, these hair follicles aren’t all producing hair so there’s room for improvement. Remember all of the nutrients and vitamins found in argan oil? Most of these help to increase blood circulation, which is critical for hair growth. Massaging some argan oil onto your scalp every day can encourage increased blood flow and encourage some of your lazy hair follicles to start growing hair again. Dandruff can also be a major factor in thinning hair. Dandruff is often the result of a mild scalp infection, not necessarily because of a dry scalp. No matter the reason, dandruff and dead skin can clog hair follicles and stop growth. Argan oil can first help to clear any infection and it can also rehydrate the skin,completely eliminating dandruff and allowing more hair to begin growing naturally. While there is no definite scientific evidence as of yet, early studies have shown that argan oil does have a positive effect on hair regrowth. If you decide to try this oil for hair regrowth, and I recommend that you do, keep in mind that no hair regrowth treatment works overnight. You’ll have to remain dedicated for several months to see if Moroccan argan oil is working for you. We’ve packed a lot of information into this article so far and I don’t want to overwhelm you. In this section, I’ll give you a basic guide for using argan oil for your hair that you can refer to when you need a little refresher. As a Shampoo: There are plenty of shampoos available with argan oil. You can also add the oil to your current shampoo but just make sure that you’re using a natural shampoo for best results. As a Conditioner: The same goes for argan oil as a conditioner. You can buy a premade Moroccan oil conditioner or add the oil to your own. This a great option for people who make their own natural hair products at home. As a Styling Agent: Argan hair oilcan be applied directly to your hair to help tame your hair, prevent frizziness and keep it manageable all day long. There are also spray in products with additional benefits that you can try. As a Hair Mask: I always recommend at least one hair mask a week and argan oil is a great ingredient to include. Either of the previously recommended hair mask products is great but there are also plenty of homemade versions to try as well. You can also simply rub pure argan oil into your hair and allow it to sit before rinsing it out without the fear of greasy residue. As a Growth Treatment: Using argan oil either by itself or in any of the previous products can help you to grow longer hair and even help regrow any thinning patches on your scalp. It also works when used in tandem with other hair growth natural products, like peppermint essential oil and rosemary water. Argan Infused Products: Don’t have the time for extra products or making your own treatments? There are plenty of infused hair styling tools to use, like the Argan heat flat iron, a hot air brush and even basic hair brushes that can give you the benefits of this oil without adding anything extra to your hair care routine. While many people are intrigued by the use of argan oil for their hair, they are often turned off by the price. They end up looking for a similar product without the hefty price tag and coconut oil usually comes up as the winner. So what’s the difference between these two oils? Let’s take a look at coconut oil and argan oil for hair reviews. Coconut oil is known for its antibacterial and anti fungal properties, which can be incredibly beneficial in treating dandruff or scalp infections that could be inhibiting hair growth. Argan oil can help promote a healthier scalp as well but not with the intensity that coconut oil can. But argan oil does have more antioxidants than coconut oil, which can help speed up cell regeneration and help hair grow faster. Argan oil’s antioxidants come to the rescue again by keeping hair safe from pollution and damaging UV rays. It’s known for making hair appear shinier and it does this by sealing the hair’s cuticles, which protects against split ends. Coconut oil can help make your hair appear more shiny and tame but it often leaves behind a greasy residue. Overall, there’s nothing wrong with using coconut oil once in a while. It definitely has an impressive list of benefits. But using the best argan oil for hair is better for daily use and even though it’s expensive, you only need a bit to see results. With coconut oil, you end up using quite a bit more product during treatments. If you want to use both on a regular basis, use coconut oil for your scalp and argan oil for your actual hair. I love both oils and no matter which you choose, you’ll be improving the condition of your hair. But I’ll always stand by my argan oil, the liquid gold of the hair world. Argan oil is truly a gift from the heavens. It’s great for our skin, overall health and of course, our hair. It only took one use of this oil to make me a believer and I’m confident that a single argan treatment would make you a believer as well.